Welcome to the next stop on Magical Blogorail Orange! Today we are talking about Freebies in the parks. Enjoy! One of our favorite pasttimes at the Magic Kingdom for the last several trips isn’t a ride. It isn’t a show, it’s not even eating Dole Whips. It is, however, free – and comes with free “souvenirs” to take home! Sorcerer’s of the Magic Kingdom has been in the parks since 2012. I heard so much buzz about it then, but it wasn’t something we ever got into – especially considering at the time, there were typically waits and lines to participate. Finally, after several trips with our kids, we knew very well that we didn’t always need to be in line for an actual attraction to have fun and create memories. Instead, we began taking a look at other things we hadn’t yet experienced. Sorcerers of the Magic Kingdom fit the bill perfectly for my older two kids, especially while my youngest was napping in his stroller. So what is it? 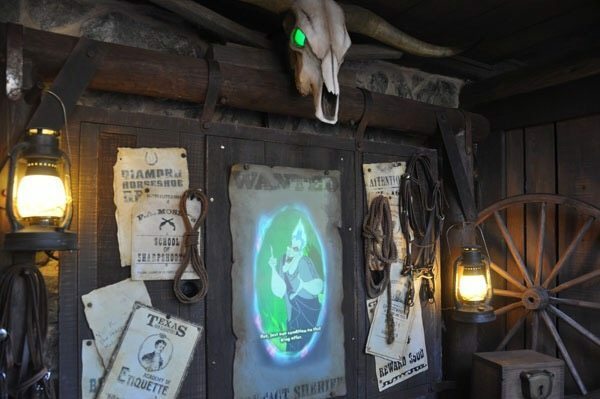 It’s an interactive game that takes place throughout the Magic Kingdom. Guests, as Merlin’s apprentice, must cast his spells in battles agains villain. Under the charge of Hades, the villlains have banded together to take over the park! Every time you enter the Magic Kingdom, you can stop by the Fire Station or the station near the Christmas Shoppe in Liberty Square and get a new 5-pack of cards for every person with ticketed admission. 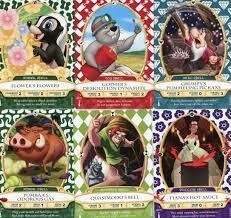 Inside the park, the cards feature characters that have special abilities to fight villains. Back at home, they’re fun to look at, fun to trade, and – I mean, most of my family is pretty Type A, after all – fun to try and check off of the ever-growing list. My girls love that there are special event cards (from Mickey’s Not-so-scary Halloween and Very Merry Christmas Parties), cast member only cards, and limited edition cards. We love that they don’t cost a thing! As a side note, for Christmas my husband printed a wonderful cover that we slipped into a 3-ring Binder. We had baseball card sleeves already, but if you have to purchase them it’ll just be a few dollars. (Any card collectors, or couponers that have some lying around? You probably know someone!) We then slid opaque cardstock into every slot on one page (for the purpose of covering all the cards but the one we want to use to “fight the bad guys”). For only the cost of ink for the cover, we made a customized Spell Binder that we can’t wait to take back and use on our next quest! Have you played Sorcerors? Do you collect the cards? Thank you for joining me today! Your next stop on the Blogorail Loop is Superheroes and Teacups. My 14-year-old is crazy about collecting the Sorcerer cards. We’ve not taken a ton of time to actually PLAY, but she bought the binder for them and loves to organize them. My 8-year-old son doesn’t have a fancy binder, but does have his organized as well. Every time we go, we grab another pack of cards for them to add to their collection. GREAT freebie! I’ve played – but was never a huge card collector. I have a friend who is though, and it’s so fun to watch her stress out about which cards she’ll get. I’m not sure if she has the binder, but I might need to let her know that’s an option! My son LOVES this game! Honestly, he just loves having the cards, too, and they make such great FREE souvenirs, too. Great freebie! 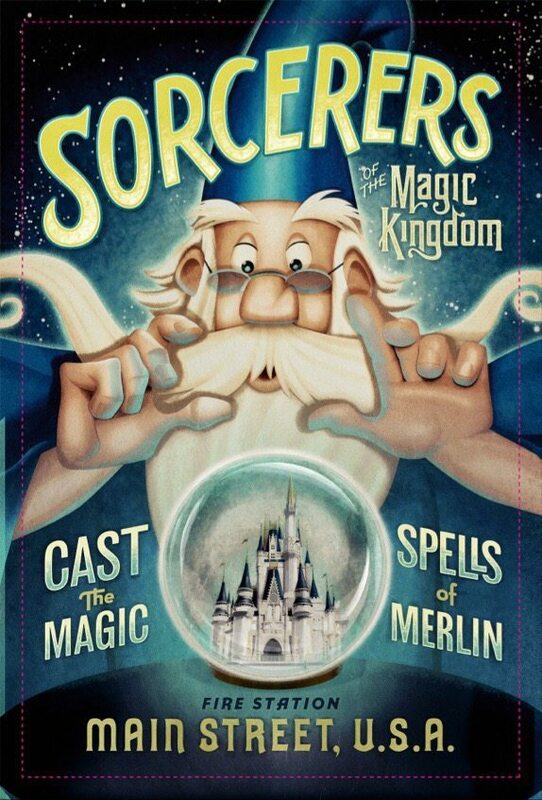 I have heard about Sorcerers of Magic Kingdom but have never tried it. 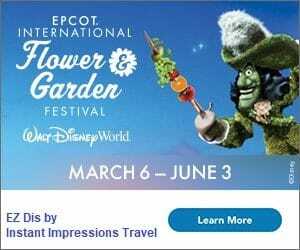 My son is 9 and he’s beginning to not want to ride any of the “kiddie” rides so I think this would be a great way for him to enjoy Magic Kingdom! We seen so many people play this game. However, we’ve never slowed down enough to stop and play it ourselves.